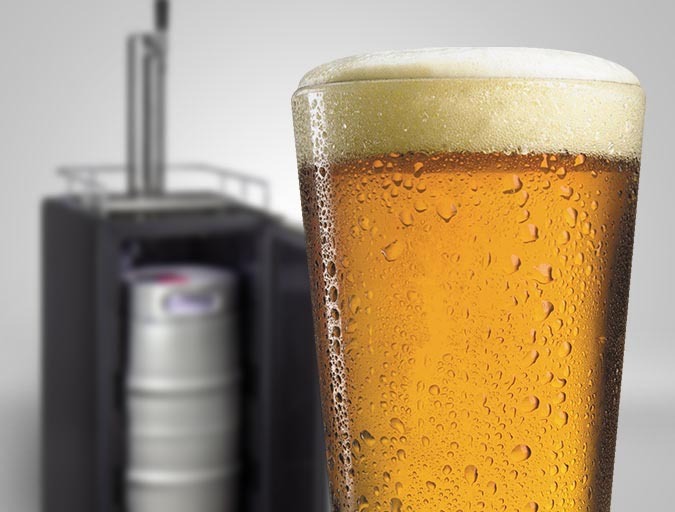 Share your home brewed beer with pride using Kegco's commercially-rated HBK15BBR Homebrew Kegerator. Suitable for both commercial and residential use, this unit is ETL and ETL Sanitation Listed and NSF Compliant to ensure that it meets all of the necessary safety standards for beer dispensing appliances. It has been specially designed with a compact 15" width that can fit in space-challenged tasting rooms and apartments. 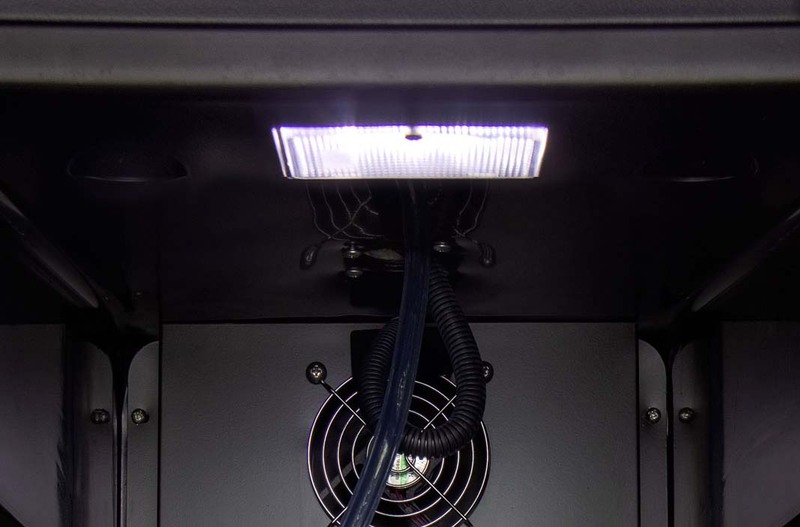 The top-mounted interior light brightens the cabinet for ease of checking keg connections and CO2 pressure without heating up the cabinet or affecting stored beverage temperatures. 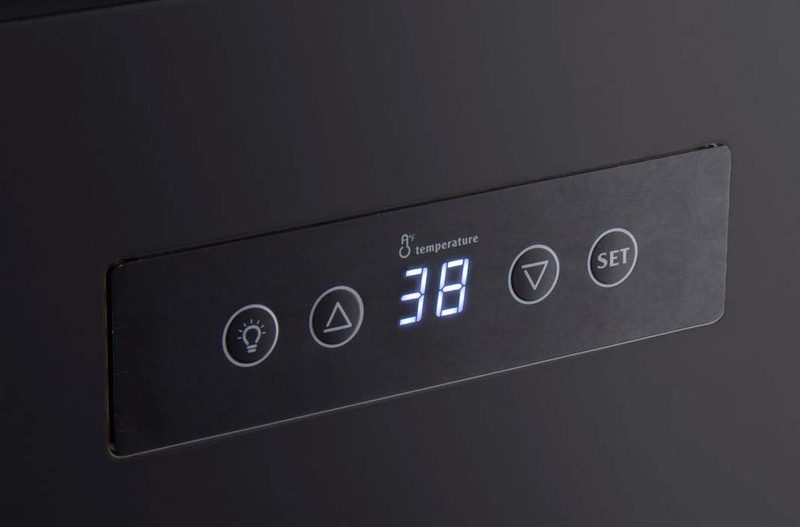 The unit can be programmed anywhere between 32 and 65 degrees using the push button digital control panel. Just press the 'Set' button to lock in a new temperature and use the up and down arrow buttons to reach the exact level of coolness desired. 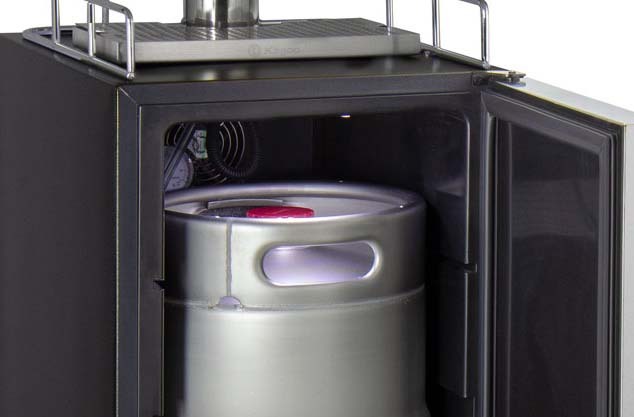 This space-saving keg refrigerator has a capacity of 3.1 cubic feet, making it ideal to hold a 7.75 gallon quarter slim keg, 5 gallon Sankey, or 5 gallon ball lock homebrew keg. 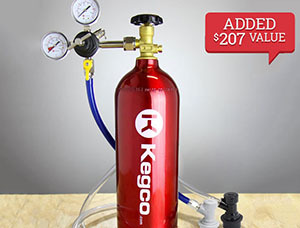 The Kegco HBK15BBR functions with a notably wide temperature range, allowing for home brew enthusiasts to store and dispense beer or even ferment home brewed beers.